Most people shopping for a new home are aware that prices change regularly. The market goes up and down based on several factors and not all of them make sense to the real estate beginner. However, if you have a general idea of where the market is headed, you’ll know how to save or put money back before you start shopping. In southern California specifically, the prices range quite a bit. While this is typically a part of the state that has higher prices, there are areas that fit lower incomes. As of September 2012, the lowest media price was just $120,000 while the highest median was $779,000. Consider how many different types of home buyers fall within those boundaries. In the housing market, real estate needs range from studio apartments to houses with several bedrooms to accommodate the many family sizes. If you know your family is going to increase in size very soon, then you are probably already looking for a larger residence. However, if you anticipate smaller square footage needs, you might be looking for one or two bedroom house at the most. Then again, as a real estate investor, you may just be looking for a property that has a quick turnaround potential. If you have practice negotiating in real estate, then you can certainly bring some of these prices down. This usually applies to short sales where the owners are more flexible or properties that have been on the market for a while. After deciding on a price, write up the contract and make sure you’re fully protected. The wiggle room you have in these deals will depend on how much repair the property needs and how much profit the current owner needs to make. 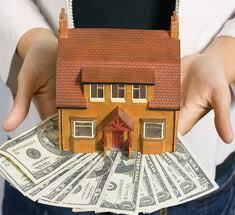 There may also be the matter of liens that need to be paid before the deed can be transferred to any new buyer. The more you learn, the more you’ll find that real estate does have a typical cycle. Following certain events, you can plan on the price of housing going up. However, after disasters and other hardships, the price of housing tends to go down. This isn’t a schedule set in concrete of course, but it will help you anticipate some of the financial obstacles. By using information like this in your real estate deals, you should end up much happier with the results. « How Can I Make the Most of a Mortgage Calculator?